As with the previous mystery object, Jake managed to spot what kind of animal it belonged to in no time with Jamie Revell and Dave Godfrey in agreement. It is indeed an Elephant shrew or Sengi, more specifically it’s the North African Sengi Elephantulus rozeti (Duvernoy, 1833). 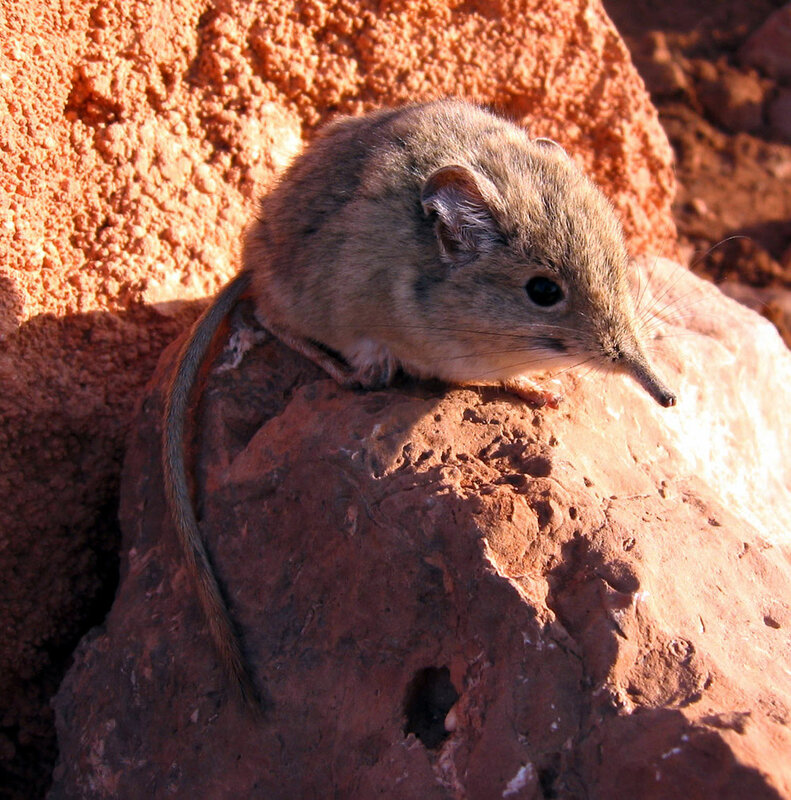 Sengis are bizarre looking insectivorous mammals with a trunk-like nose that are native to Africa. Despite being small and insectivorous, they’re not particularly closely related to the shrews that we get in Europe, in fact they’re not even in the same Order (they’re in the Macroscelidea). They are certainly cuter than the true shrews that we get in Europe, partly because of their noses and partly because they have big eyes – a feature lacking in the shrews of the Order Soricomorpha, which all have very small eyes. These little guys are so much more awesome when they’re alive… but the same goes for everything.